We would like to give our Colorado fans a few sneak peeks at some of the beers, and a look at the hikes that inspired them, that will be a part of our upcoming Beers Made By Walking Festival. Set your calendars for October 3rd, which is the Friday of the Great American Beer Festival. From 12-4pm, you'll be able to try over 25 landscape inspired brews from across the country. If you're unfamiliar with our program, we invite brewers to make beer inspired by plants that we find on nature trails. Each beer is a type of drinkable portrait of a trail near the brewery. A moderate hike filled with scenic views from above the town of Golden as well as a beautiful stroll through community gardens in Fort Collins defined the first two public hikes for the Colorado Beers Made By Walking program. Brewers from across the state have been leading public and private hikes in preparation for their BMBW beers. Copper Kettle Brewing owners Kristen Kozic and Jeremy Gobien led thirteen hikers through a lovely trail. Three of the hikers were visiting Colorado from Iowa. The walk was about five miles on the Cedar Gulch Trail, at Mt. Galbraith Park, near Golden. We saw a number of plants that were documented and later explored as potential brewing ingredients. 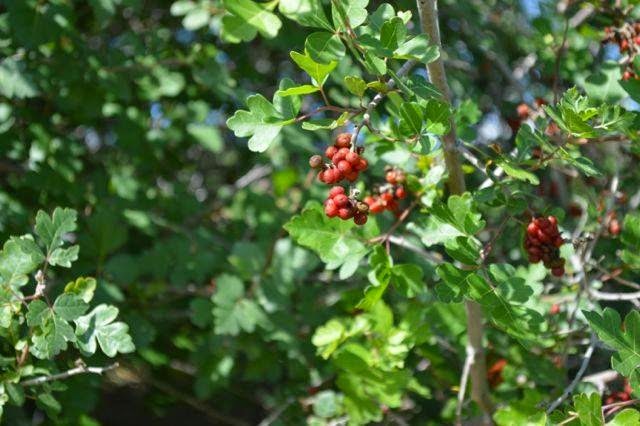 These plants included juniper, artemisia, yarrow, Oregon grapes, and a variety of cherries. The adventurers convened on a Sunday morning to start the day by exploring the wilderness. It was followed by a trip to Cannonball Creek Brewing Company and a round of beers at the end of the hike. We asked Kozic and Gobien what they are thinking of brewing and they said possibly a cherry wheat to express the landscape and time of year of the visit for their first BMBW beer. ***Update*** Looks like Copper Kettle is officially going with a Mint (horehound) Stout! 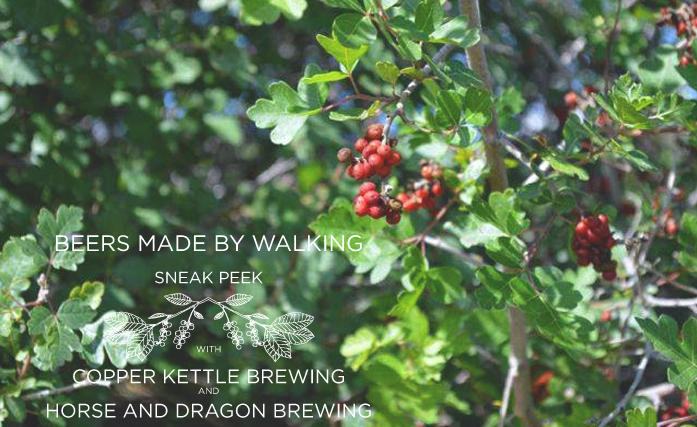 The next week we set out on a hike with Tim and Carol of Horse and Dragon Brewing. 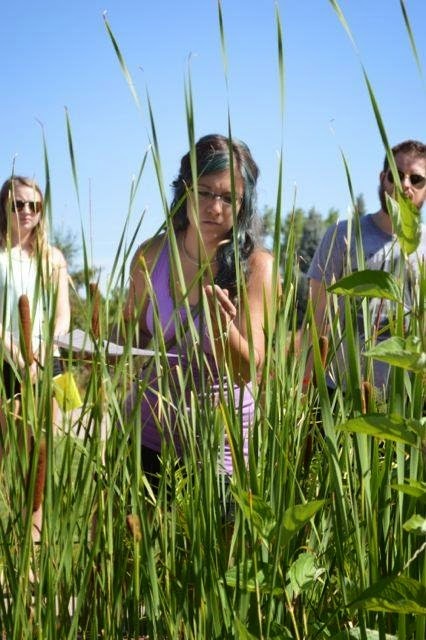 They hired the head of adult education at the Gardens on Spring Creek, Sherry Fuller, to lead a group through the same gardens that also recently inspired Odell’s Trellis Garden Ale. Fuller was able to educate the group on the various edible (and non-edible) plants in the Rocky Mountain region, as the gardens have a large variety of native, wild plants that one might find while out and about on hikes. Attendees were also provided with a guide to the gardens, with the names of all of the plants that Fuller pointed out along the way. The garden has a wealth of biodiversity, with everything from chokecherry, mallow, and three leaf sumac, to also including a small urban farm with hop bines growing in full effect. Linsey Cornish, the head brewer for Horse and Dragon, is still considering exactly what ingredients to include in her first BMBW brew, though has pondered the idea of a gruit, utilizing no hops while allowing a mix of Colorado herbs to bitter the beer. She has been inspired by a few different hikes around the state and may combine sights and experiences to create a beer that spans the Front Range rather than one, singular location. We're excited to taste the beers from Copper Kettle and Horse and Dragon. They will be available, along with about 25 other beers from around the country on October 3rd, from 12-4pm, at Wynkoop Brewing in Denver, Colorado. We're publishing some information about the Beers Made By Walking Festival very soon but wanted to make sure you saw this sneak peek to whet your appetite a little.